Walk-in bathtubs from Universal Tubs provide a safe and independent bathing experience. 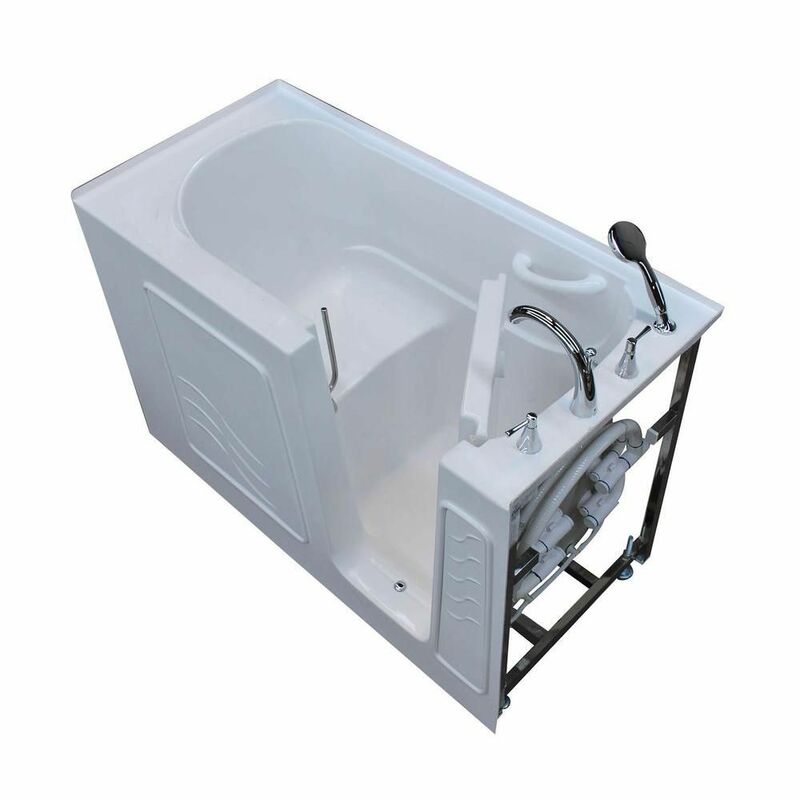 Using the latest in tub crafting techniques and industrial grade materials, walk-in tubs offer an impressive line to meet your specific needs. With ADA compliant designs and features, they provide the satisfaction and peace of mind needed to truly enjoy a luxurious soak or a vibrant, soothing experience. 5 ft. Right Drain Walk-In Non Whirlpool Bathtub in White Walk-In's provide a safe and independent bathing experience. Using the latest in tub crafting techniques and industrial grade materials Walk-In Tubs offer an impressive line to meet your specific needs. Walk-In Tubs offer the satisfaction and peace of mind needed to truly enjoy a luxurious soak. 5 ft. Right Drain Walk-In Non Whirlpool Bathtub in White is rated 5.0 out of 5 by 1. Rated 5 out of 5 by ArtWoodBuilders from Great Walk In Tub I purchsed this tub for a whole bathroom remodel for a customer. The tub was easy to install, and my customer is very happy. I definitely recomend this tub to anyone.